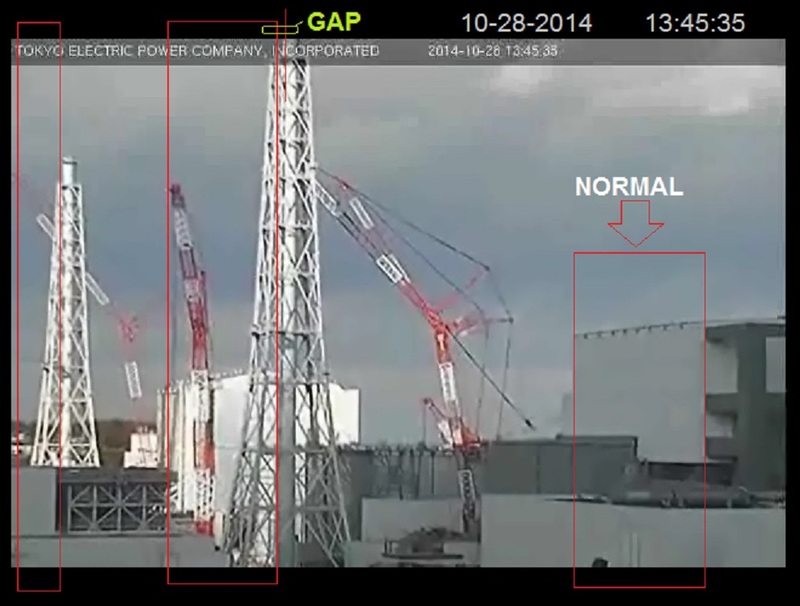 Was Fukushima NPP nuked (by a bomb)? All of the micro nukes used by the Israelis are re-manufactured W-54 type series devices. These devices were used in the Bali bombing and the London bombing and in Japan on their reactors. (Editor’s note: Nuclear weapon use in Bali confirmed) Also used in Damascus, Iraq and Afghanistan by the US. Two IAEA experts will visit Japan from 8 to 14 September 2014 to collect water samples from the sea near TEPCO’s Fukushima Daiichi Nuclear Power Station, in an exercise to support high-quality gathering and analysis of radioactivity data by the responsible authorities in Japan. Is this latest toxic algae deal caused by fallout? Rhode Island health officials are advising people to avoid swimming, boating and fishing in a reservoir and pond in East Providence due to a toxic algae bloom. The state Department of Health on Tuesday says a blue-green algae is widespread in Turner Reservoir and Central Pond. Officials are also telling people not to drink any of the water or eat fish from the pond or reservoir. They say people can get rashes, irritation of the nose, eyes, and or throat and vomiting from exposure to the toxin in the algae bloom. Anyone who has been swimming in the pond or reservoir who has those symptoms is advised to call a doctor. Is California coast impacted by radiation at sea? From this ENE live cam discussion comment - here. It has MORE photos of it. RadChick -- "What is the Half-Life of the Pacific Ocean?" TOKYO, September 24 (RIA Novosti) - Two earthquakes measuring 5.0 and 5.2 struck off Japan's northeastern coast near the Fukushima Prefecture on Wednesday, the Japan Meteorological Agency said. The epicenter of the quake was located in the Pacific Ocean close to the Japanese shore, at the depth of 50 kilometers. As Japan edges closer to the first restart [!!!] of a nuclear plant under new tighter regulations, experts warned on Monday that it’s difficult to predict volcanic hazards and called for more debate on the risks posed by volcanic eruptions. "The deluge would likely cause seawater to mingle with the radiation-tainted water accumulating in the basements of the reactor buildings at the six-unit plant, allowing 100 trillion becquerels of cesium to escape, according to an estimate that Tepco revealed Friday at a meeting of the Nuclear Regulation Authority," the Japan Times reports. According to the media outlet, tidal waves from the storm are likely to reach a maximum height of 26.3 meters or more. The storm is likely to strike the Fukushima No.2 nuclear plant as well, but "its idled reactors and fuel pools" are not expected to be destroyed, Tepco officials assert. The crippled plant’s operator told a Nuclear Regulation Authority commission Oct. 3 that it raised its projected tsunami height to 26.3 meters--nearly double its previous estimate--and increased the scale of the largest potential earthquake by 1.5 times. This person posts videos from Canada about radiation effects there. A lot of knowledge about trees being damaged too. Only one of the more than three dozen workers interviewed by Reuters from July through September said he received the full hazard pay increase promised by Tepco. Some workers said they got nothing. In cases where payslips detailed a hazard allowance, the amounts ranged from $36 to about $90 a day – at best half of what Hirose promised. Japanese engineers face mammoth task of dealing with contaminated water from the nuclear plant disaster. Puff piece: Is Fukushima capable of withstanding a super typhoon? Get out your red pencil for this one! TOKYO (AP) - A prominent vulcanologist disputed Japanese regulators' conclusion that two nuclear reactors were safe from a volcanic eruption in the next few decades, saying Friday that such a prediction was impossible. A cauldron eruption at one of several volcanoes surrounding the Sendai nuclear power plant in southern Japan could not only hit the reactors but could cause a nationwide disaster, said Toshitsugu Fujii, University of Tokyo professor emeritus who heads a government-commissioned panel on volcanic eruption prediction. Nuclear regulators last month said two Sendai reactors fulfilled tougher safety requirements set after the 2011 Fukushima disaster. The regulators ruled out a major eruption over the next 30 years until the reactors' reach the end of their usable lifespan. A surprise eruption of Mount Ontake in central Japan on Sept. 27 has renewed concerns about the volcanoes in the region. One of the workers has been left in critical condition after being knocked unconscious. He was transported to the hospital from the plant by helicopter, according to a TEPCO spokesman, AFP reported. ... tsunami waves could hit parts of Indonesia, as well the Philippines, Japan, Taiwan and islands in the South Pacific.